This sweet little stacking ring is small and easy to wear but also thick enough to be sturdy and lasting. This is not a thin easily bendable ring. 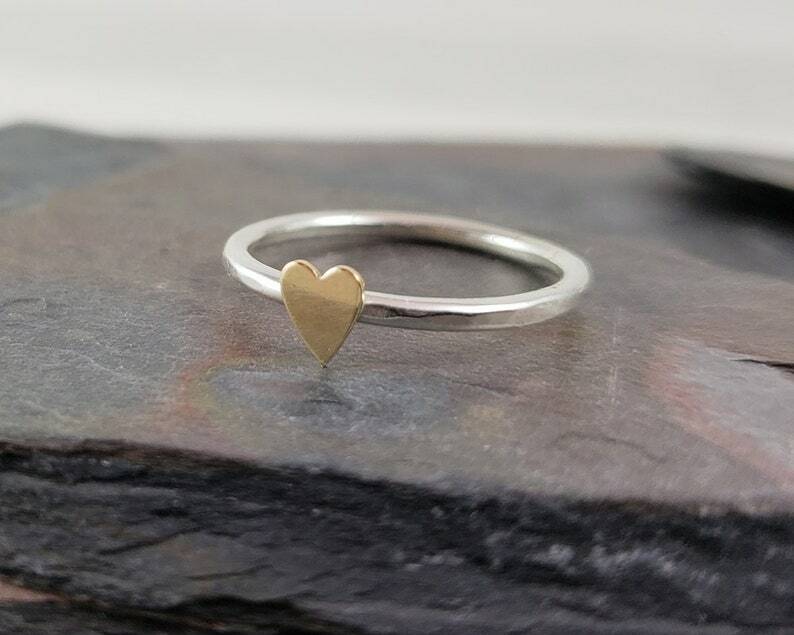 The ring features a tiny 5mm 14k gold filled heart. I can also make this ring with a sterling silver heart if you like. Make your choice from the drop down menu. The ring works beautifully with other stacking rings and would be a great lovers or couples ring set with the couple's birthstones and the heart centered between them. This is a custom order, made in your size. Please know the size you need before ordering. It comes gift boxed.